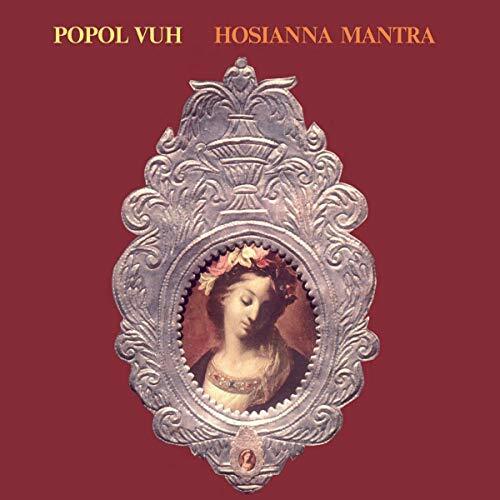 BMG are issuing some key works of German electronic avant-garde band Popol Vuh next month. The Essential Album Collection, Vol. 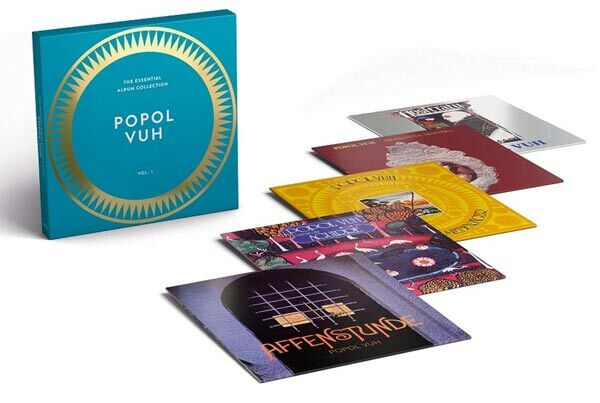 1 – a 6LP vinyl box set – is on the way, as well as some standalone remastered CD releases. 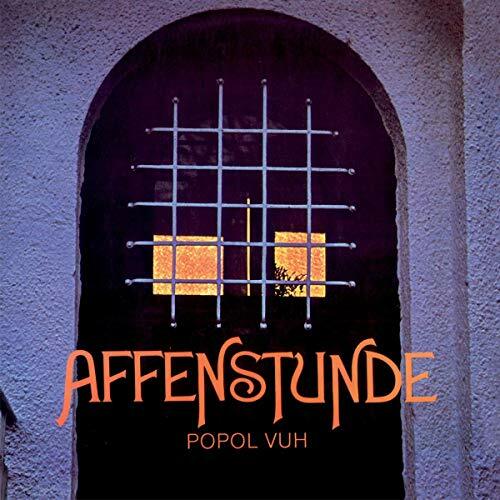 Founded in 1970 in Munich, Popol Vuh were pioneers of electronic music and progressive rock. They were the first German group to use the Moog-synthesizer and delivered music that could be broadly categorised as experimental, ambient, progressive and ethnic. The compositions often have a hypnotic filmic quality and indeed in 1972 they started a collaboration with film director Werner Herzog that saw pianist and keyboardist Florian Fricke writing soundtracks for some of Herzog’s best known films (resulting in several Oscar nominations). 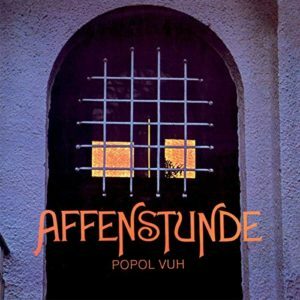 Fricke died in 2001, bringing to an end Popol Vuh. 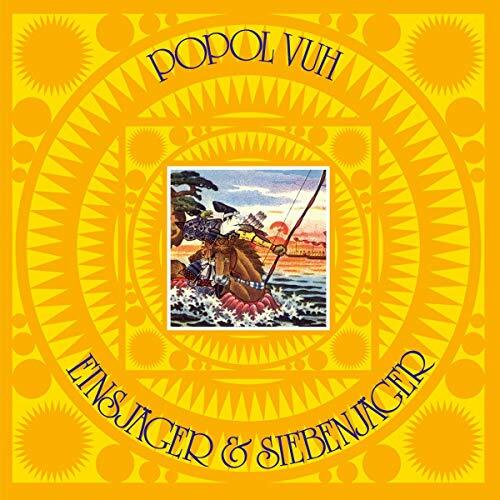 Five albums have been remastered by Popol Vuh members Guido Hieronymus and Frank Fiedler. They are debut Affenstunde (1970), Hosianna Mantra (1972), Einsjäger & Siebenjäger (1974), Aguirre (1975) and Nosferatu (1978). Affenstunde, Hosianna Mantra and Einsjäger & Siebenjäger are the first, third and fifth albums respectively, while Nosferatu is a 2LP set (hence six records for five albums) and features the two albums that were recorded for Werner Herzog classic film of the same name: Brüder des Lichts and On The Way to a Little Way. The other Herzog soundtrack is Aguirre composed for another cult classic (most of his films would fit that description!) Aguirre – The Wrath of God, the movie that features a memorable performance from Klaus Kinski playing Spanish soldier Lope de Aguirre, who leads a group of conquistadores down the Amazon River in South America in search of the legendary city of gold, El Dorado. The vinyl is all 180g and feature original track listings plus bonus tracks. The outer box is spot varnished and these sets come with a six-page insert and two band posters. There is no CD box, but rather separate digipaks with the remastered audio and bonus tracks. These come with detailed, illustrated booklets and sleeve notes by by Klaus Schulze, Werner Herzog, Gerd Augustin, Manfred Gillig-Degrave and Michael Fuchs-Gamböck. 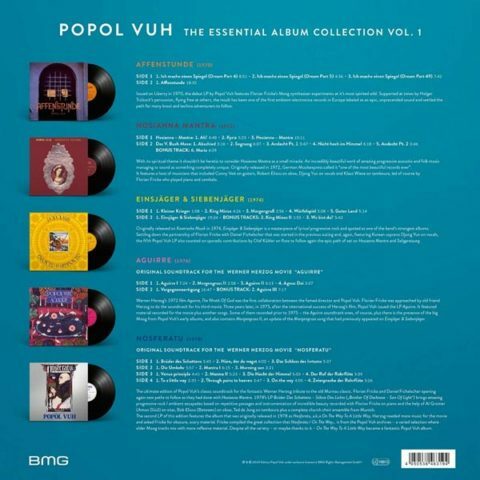 The Essential Album Collection Vol. 1 and the CDs are released on 26 April 2019. Really curious about the mastering as some of the previous releases on CD have been poorly mastered. I heard them for the first time while shopping for music in Princeton. Sometimes the music played there is fantastic, sometimes I think they’re trying to empty out the shop. In this case, I made my way to the checkout counter and asked about it. I had been listening to “In The Gardens of Pharao” and the piano work was gorgeous, so I pressured the manager into selling me the cd he was playing. There was no other copy in the store to buy. I know, never play what you don’t have to sell… but this was, well… Princeton. At least the guy didn’t refuse to sell it, and I’m glad I’ve got it. That was a few years ago, and it’s not like I’m all caught up listening to all the music I already own (I don’t think that’s possible) but I do believe the time is right to explore this band with a little more dedication. Stunning album art (I lament the decline of that lately as well.) That alone is nearly enough to take the plunge. Pretty nice box set. Big fan of Werner Herzog. 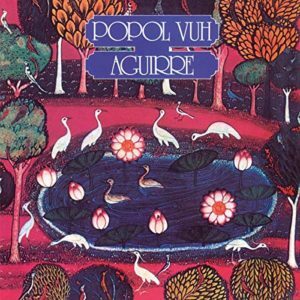 I discovered Popol Vuh with Werner Herzog films and I discovered Herzog thanks to Ian Curtis and Joy Division. I saw my first Herzog film almost 30 years ago when I was a student, it was in may 1990, it was 10 years after Ian Curtis’ suicide and there were radio shows, articles in the NME commemorating the leader of Joy Division. After reading that Ian Curtis watched the film Stroszek by Herzog only a few hours before committing suicide, I was intrigued and didn’t know much about Werner Herzog. Soon after I watched Stroszek and was blown away. After that I saw almost all Herzog films including Aguirre, Fitzcarraldo, Kaspar Hauser and Cobra Verde. Herzog’s documentaries are also great. My Best Fiend, which details his tumultuous relationship with Klaus Kinski, is amazing. Klaus Kinski was a mad genius, an incredible actor. 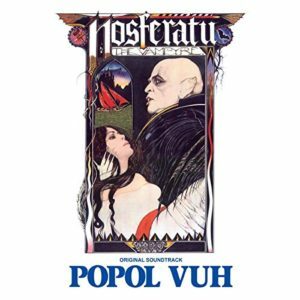 Thanks to Herzog, I discovered Klaus Kinski and Florian Fricke (Popol Vuh). 3 great and uncompromising artists. Very happy about this new release even though I already have the albums. 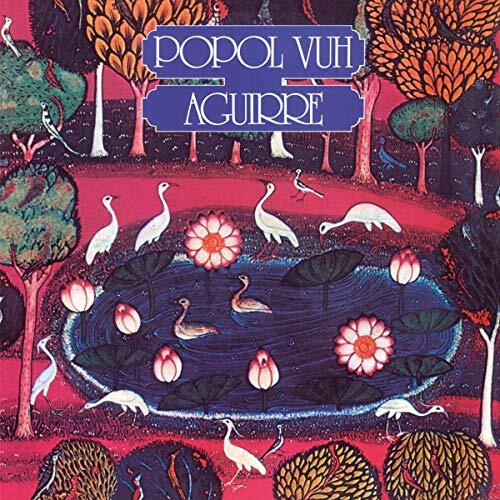 I hope more people will be interested by Herzog and Popol Vuh. Does anyone know if the vinyl boxset includes download codes for each album please? It could make the difference for me purchasing, so thank you for any information. That would be a pity indeed. Vinyl only doesn’t give me the range of listening options I’d hope for when paying over £90… I DO wish labels would at the very least make this transparent and say either way if a DLC is included or not – instead of making us have to ask or take a punt and hope! Thanks for replying Paul. Can vinyl really be selling that well? and how easily it degrades . It’s not that Vinyl is overtaking CD, but Vinyl sales are still on the up (albeit from a very low base) and CD sales are plummeting as mainstream buyers/casual music fans don’t see the point in paying 10 quid for a CD when you can stream anything you like on Spotify or iTunes for a month. There is a danger that the remaining CD collectors will be left behind as Physical music buying becomes a more boutique, specialist thing. A lot of the more esoteric releases like this one are often Vinyl only, so at least there’s a shiny disc option here. Never heard of this before. I have a feeling that I am about to find another path to wander down. I loved that youtube link. I am trying to place some similarities in my mind and to me it has elements of Nick Duffy (Bait, Original Super Mango, Lilac Time Instrumentals) and strangely I imagined Britt Ekland wriggling and writhing in The Wicker Man at the pulsing insistence of the track. Further investigation required. Thank you Paul for unearthing (for me anyway) what seems like another Gem! The music from The Wicker Man by Paul Giovanni and Magnet is great folk music. I love Gently Johnny, The Landlord’s Daughter, Willow’s Song and Maypole. There was a beautiful yellow vinyl version released by Silver Screen a few years ago. It’s one of my favourite films, ever since I used to work in the VHS department of Virgin Records in the late 80s/early 90s! I have loved the film Fitzcarraldo for ages as well. It’s not in this box set sadly. 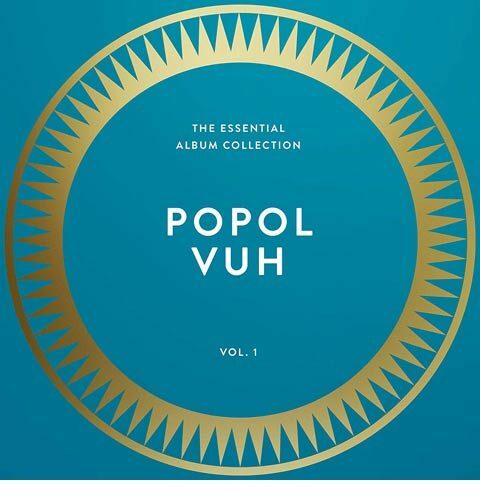 There is another Popol Vuh CD box set called “The Werner Herzog Soundtracks” available. I got it a few years ago as I loved the films but had never really heard of them. It’s a lovely box set, blue cover long form box with 96 page booklet, well worth the cash. This is good stuff. Wish it was a CD box release, but regardless, nice to see these available in a remastered form. I expect that all the albums will become available in this context in the near future. Good to see these beautiful uplifting albums getting a new lease of life. Despite their age, these already sound good to me, on the re-released SPV ones and even the jewel case originals so I’m curious to see what the remastering brings. For soothing late night listening, (with a beer and dimmed lights) I’d recommend Aguirre and Einsjager for sure and later albums like Bruder des Schattens and Spirit Of Peace are hauntingly stunning. Well said. I am tempted but I cannot believe they need remastering, as already stated the former versions already sound quite beautiful. Indeed the CD editions have the same tracklistings as the Japanese CD releases in a box and in mini-sleeves from 2006. These are the versions I have in my collection. For anyone not familiar with this music, try to listen to these releases as some of their music is so beautifull. As far as I can tell, these bonus tracks are the same as those on the SPV digipak editions released just over ten years ago. The Nosferatu tracklist follows those issues, too, but cutting down Brüder des Schattens from 20 minutes to five. Seems quite a strange campaign for those releases alone, unless the SPV contract has run out (which in itself might explain the prices some of those albums go to!). It’d be nice if the LP versions got separate issues too, as 2015’s Wah Wah pressings were very limited and some go for hefty prices these days. 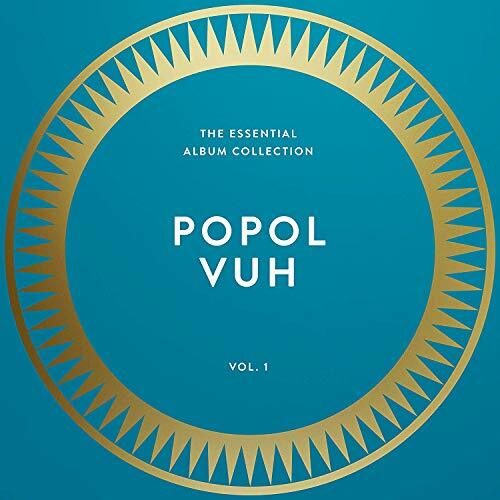 Popol Vuh seem to be one of those groups whose albums are licensed out to various labels, often with varying tracklists, and I always find this approach is confusing for fans and not especially respectful to the music. Hopefully this is the first step in a widely available CD & LP reissue campaign rather than just a one-off, as Florian’s music deserves to be heard more often. Not a single comment (except for this one)? Has this ever happened?